Welcome to the heart of Westfalen. We are delighted to be your hosts at the ibis Dortmund West hotel and hope you have an excellent stay. 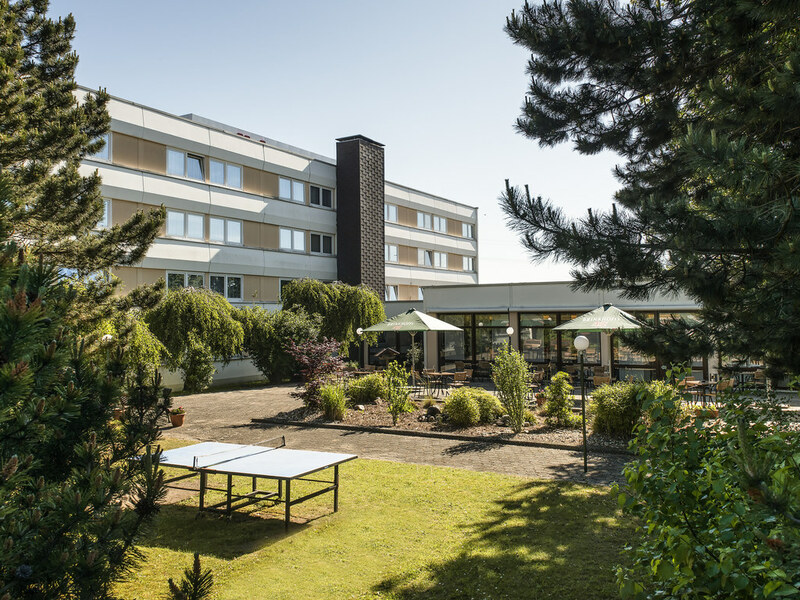 Take advantage of the quiet location of the ibis Dortmund West, which is directly next to the Indupark and Technology Center, and its excellent transport connections to the A45/A40 highways. The hotel is 5 miles (8 km) from the city center and 3.7 miles ( 6 km) from the Westfalenhallen and the stadium. It is perfect for business stays in the Westphalian business hub, with four conference rooms and 150 parking spaces. With 109 comfortable rooms, plus a bar and restaurant with large sun terrace and garden. 5 km from Signal Iduna Park (football stadium). Free Internet access throughout the hotel via WIFI with a speed of up to 22.8 mbps. Hotel bar open 24 hours a day and restaurant serving seasonal and regional specialties. 109 comfortable double rooms and 4 meeting facilities of up to 2906 sq. ft. (270 m2). You can look forward to 109 modern rooms in bright, feel-good colors. Equipped with a functional desk, cable TV and complimentary WIFI. Our restaurant, Rote Erde, offers a culinary selection of regional and seasonal dishes for almost every taste. When the weather is good you can dine on our sun terrace with garden.